What Is Open Surgery? Is It Right for You? Open surgery is the traditional type of surgery in which an incision is made using a scalpel. You may have seen procedures on television or in the movies where a surgeon makes an incision, then performs surgery through that large incision. These incisions can range from 3-4 inches to very large, depending upon the procedure being performed. Open surgeries are less common than they used to be due to the creation of "minimally invasive" surgical techniques which involve smaller incisions or even (in some cases) no incision at all. These surgeries use multiple incisions less than an inch in length, with a camera and instruments inserted into the small incisions, and the surgeon is able to watch the procedure on a large monitor, as if playing a very technical video game. While minimally invasive surgery has become increasingly popular, there are a number of situations in which open surgery is still preferable. With every year that passes, more and more surgical procedures are being done using minimally invasive techniques. As surgeons create new and better techniques, older types of procedures become less common, including many open procedures. The term "minimally invasive" is somewhat vague, it may mean that the incision is smaller than the usual open incision, or it may mean there is no incision at all, depending upon the technique used during the procedure. When the surgeons are equally skilled and a procedure is available as both an open procedure and a minimally invasive one, the minimally invasive technique almost always offers a lower risk of infection, shorter recovery times and equally successful outcomes. In some cases, a surgery may start out as a minimally invasive procedure, then convert to the larger open incision procedure if the surgeon needs more flexibility of movement or if time is of the essence. 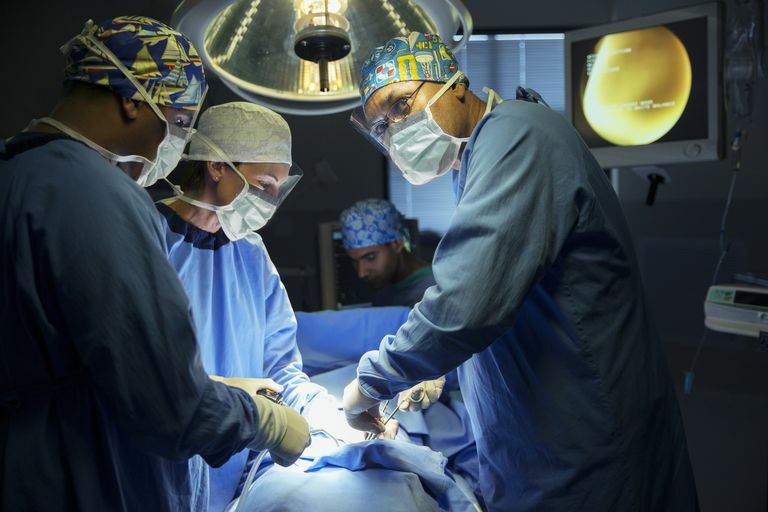 Open surgery is on the wane because of new technologies that make it so much easier to avoid large incisions and the risks that come with them. For example, with an open approach, the incision for a typical appendectomy is approximately 4 inches long. But according to the Society of American Gastrointestinal and Endoscopic Surgeons, "In most laparoscopic appendectomies, surgeons operate through 3 small incisions (each ¼ to ½ inch) while watching an enlarged image of the patient’s internal organs on a television monitor." As a result, recovery time is quicker and pain is often reduced. "The introduction of MIS [minimally invasive surgery] has been a huge leap forward in the modern surgical era. It may be wise, however, to not let it become the focus of healthcare delivery to surgical patients. The principles of safe surgery and comprehensive perioperative care should take precedence over technical prowess. Surgical decision-making may factor in the use of MIS to the patient's advantage. However, it should be immune to the bias that may arise due to the appeal of MIS to the surgeon. The only safeguard to this at this time may be a conscientious surgeon who puts patient welfare above all else at all times." Minimally invasive surgeries typically require less healing time than the traditional open procedure, but there are times when only the open procedure will do. Your surgeon will be able to explain which type of procedure is best in your unique circumstance, and can help you make the decision most likely to lead to your best possible surgical outcome. Dehn, Tom. “Incisional hernia repair – laparoscopic or open surgery?” Annals of The Royal College of Surgeons of England 91.8 (2009): 631–636. PMC. Web. 18 May 2017. Nanavati, A. J., & Nagral, S. Why have we embraced minimally invasive surgery and ignored enhanced recovery after surgery? Journal of Minimal Access Surgery, 12(3), 299–301. Web. 2016. Society of American Gastrointestinal and Endoscopic Surgeons. Laparoscopic appendectomy surgery patient information from SAGES. Web, 2017.